How can we love our enemies? How can we forgive? Join Rev. Dr. Joan DeVries as she explores how we can apply the Bible's teachings on forgiveness to our daily lives. Rev. 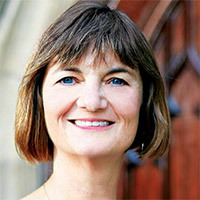 Joan DeVries joined the Tyndale community on August 8, 2012 as the Seminary Dean of Students. Joan brings a valuable breadth of ministry and educational experiences to this key role in student development for the Seminary. Prior to coming to Tyndale Joan has taught high school, pastored several churches, served on a seminary board and is currently at the dissertation level of a PhD from McMaster Divinity.